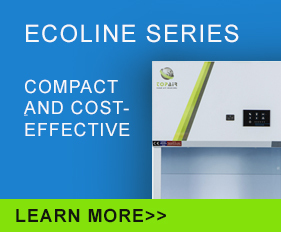 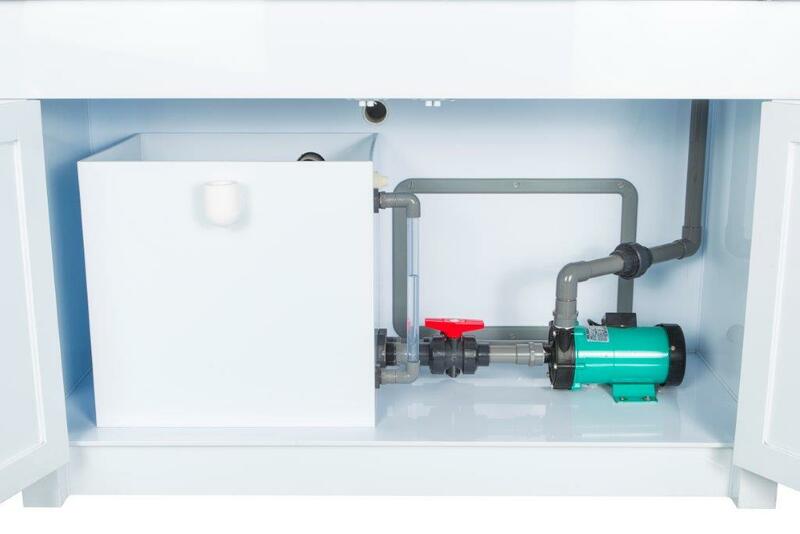 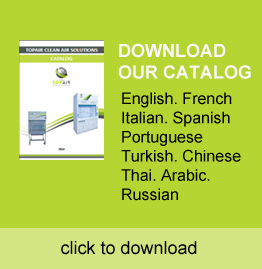 TopAir’s Polypropylene Fume Cabinet – Wet Scrubber is used to filter out acids and prevent them from being released into the environment. 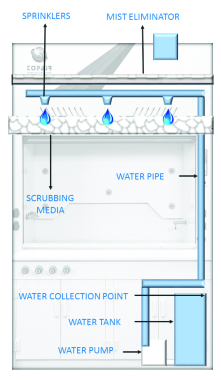 The scrubber is built-in as an integrated part of the cabinet. 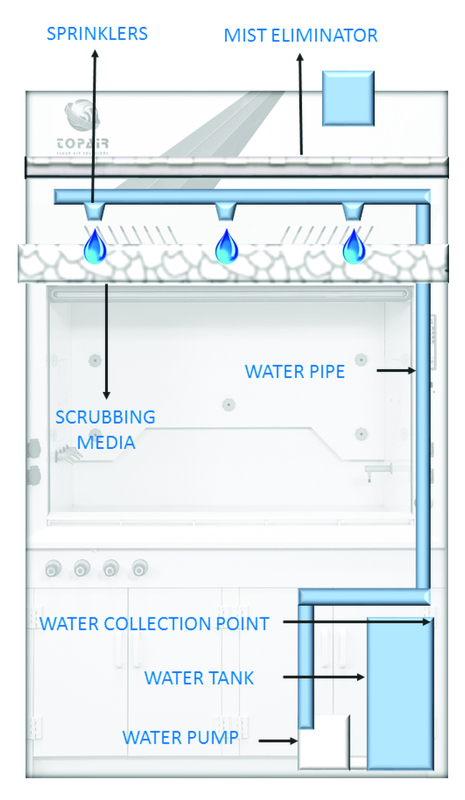 The system features a quality scrubbing media which collects mist and chemicals and channels them down to the water tank. 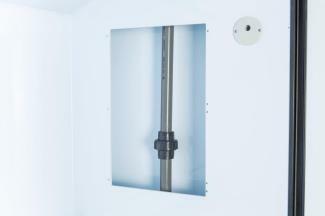 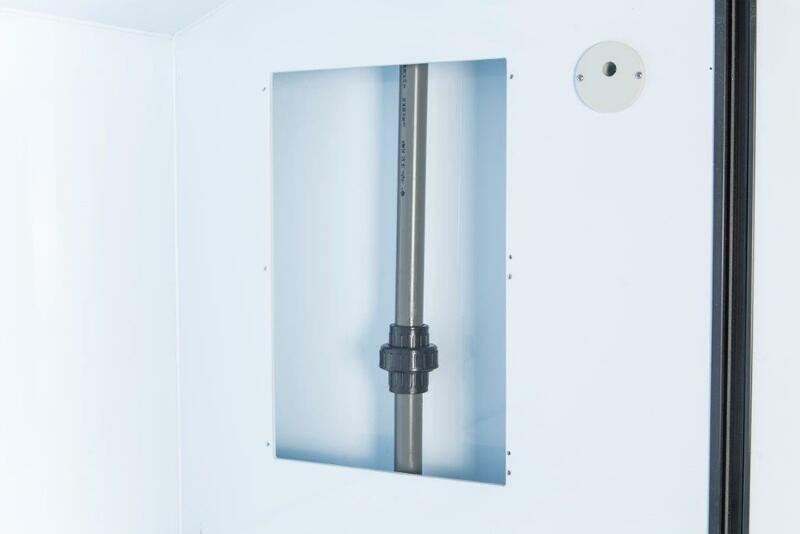 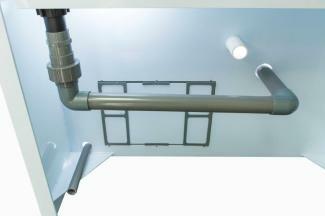 Its upper eliminator prevents mist from reaching the exhaust fan. 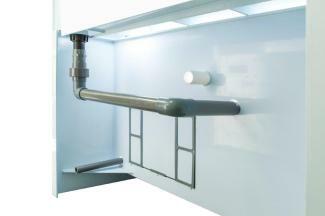 The Polypropylene Fume Cupboards are made of high-quality non-corrosive polypropylene with excellent chemical resistance. The Polypropylene Fume Cupboards protect laboratory staff from noxious fumes released by acids, dangerous gas and organic solvents- materials and acids which regular steel hoods may not withstand. 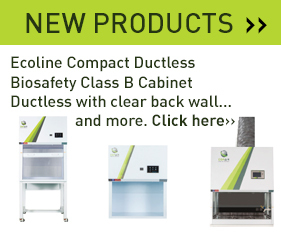 The cupboards are designed for work with heavy chemicals and have been independently tested, and are EN-14175, ASHRAE 110-1995 certified.